Above: Odd, unsolicited and apparently largely unread, the Healthy Holly books were one of several contracts that people had with the University of Maryland Medical System, while sitting on its board, that are now under scrutiny. Healthy eating! Vigorous exercise! Better lifestyles for kids stuck in urban food deserts! 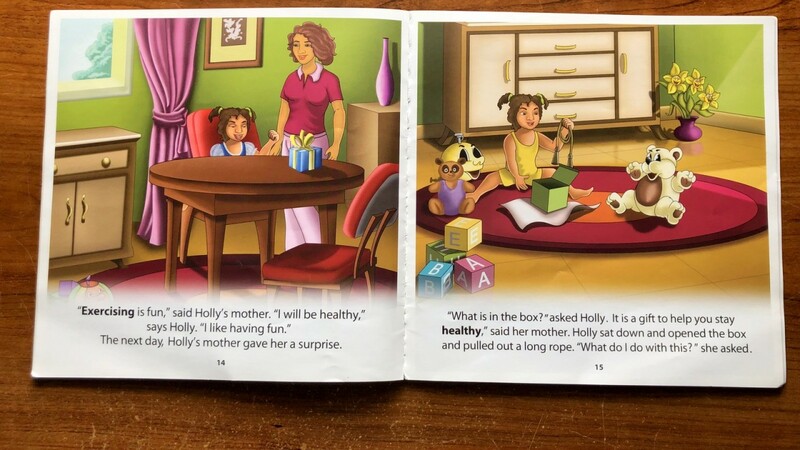 The Healthy Holly series invokes all of these good causes. But considering the books’ dubious quality, exorbitant $500,000 price and the fact that most of the books apparently never made their way into the hands of children, their publication raises more pertinent questions about the behavior of adults than kids. Why did the University of Maryland Medical System (UMMS) purchase a half million dollars worth of these odd self-published books from a member of its board of directors, the former state senator and current Baltimore mayor Catherine Pugh? And why did Pugh fail to disclose the money she received from UMMS when she chaired the health subcommittee of the Senate Finance Committee and allegedly took part in approving millions of dollars in expenditures benefiting the institution? The primary answer, of course, lies in extraordinary lapses of personal judgment. The lapses by individuals, however, did not occur in a vacuum. The politicized manner of selecting members of the board of directors of UMMS and the weakened ethical standards applicable to members of the General Assembly created the environment in which personal lapses evolved into a major scandal. It was Maryland being Maryland. When the General Assembly privatized UMMS in 1984, it took pains to free UMMS from state control, declaring that it was not a state agency and not subject to laws affecting only governmental or public entities. It did, however, provide that voting members of the board of directors were appointed by the governor. Boards appointed by the governor are rich opportunities for patronage. They tend to be top-heavy with politicians, former politicians and campaign contributors. The UMMS board was no exception. Boards appointed by the governor are rich opportunities for patronage. That isn’t to say that there are not capable persons on the board, but every organization has its own culture. A fair question is whether the composition of the board contributed to a casual attitude toward “interested director” transactions, especially in a state where one hand washing the other is an accepted way of political life. In other words, did Maryland’s political culture carry over to the board? The current scandal — involving multiple board members, including some who got much larger contracts than Pugh’s — suggests that it did. UMMS’ privatization, we now learn, combined the worst of both (private and public) worlds. It resulted in a terrible lack of accountability — you can’t even PIA the “private” medical system. At the same time, it empowered a large board stacked, as so many powerful public entities are, with members, appointed by the governor, who never seem to leave. As reported by the Daily Record, interested director transactions are not uncommon in private, nonprofit hospitals. But diligent boards make sure they don’t pay for 100,000 books that are outside their core mission and then allow the recipient of their largess to decide how and when to donate the books – supposedly, in this case, to the Baltimore school system unsolicited. Pugh has said that UMMS was the only paying customer for her self-published books, and that she was basically publishing them for sale to UMMS. The deal has an odor that is hard to miss, but someone either missed it or wasn’t bothered by it. A similar question about organizational culture was asked last year in the aftermath of the Jordan McNair tragedy at the University of Maryland. The university system board of regents, also appointed by the governor, appeared to elevate the importance of athletics over the academic mission of the school, damaging its integrity and threatening its reputation. Maybe there is a better way to appoint members of the governing bodies of two of Maryland’s most important academic institutions. A way that results in the boards acting a little less like a group of self-serving politicians. As the mayor of Baltimore, Pugh was categorically precluded from voting on a matter involving UMMS before she resigned as a director. As a state senator she was not. City Solicitor Andre Davis identified two contracts between the city and UMMS approved since Pugh became mayor in 2016. The minutes from the Board of Estimates reflect that she abstained from voting on both of them as she was required to do under the city ethics law. The law intended to prevent conflicts of interest flatly prohibits a city official from participating in a matter if a business entity in which the official is a partner, officer, director, trustee, employee or agent is a party to the matter. It’s language that is not always adhered to in practice, but at least it’s there. The provision is drawn directly from the statute enacted by the General Assembly applicable to state officials. To state officials other than members of the General Assembly, that is. A state legislator is expected to consult his or her “feelings” to determine if their financial interests stand in the way of impartiality. In other words, a subjective judgment is required. As described in the ethics guide published by the General Assembly’s Department of Legislative Reference, a legislator is expected to consult his or her “feelings” to determine if his or her financial interests stand in the way of impartiality. It is a provision that the General Assembly’s Joint Committee on Legislative Ethics may want to reexamine. Speaking of the committee, I believe that it should investigate the allegations that Pugh received part of the proceeds from her undisclosed books while she was participating in the approval of expenditures benefiting UMMS. Nothing in the law expressly prevents the committee from investigating the conduct of a former legislator. Because state ethics law imposes no monetary penalties for violations by public officials, the sanctions available are limited to censure or reprimand. Nevertheless, some consequence is better than none. Marylanders could use some reassurance right now that their elected representatives actually care about things such as ethics and accountability. 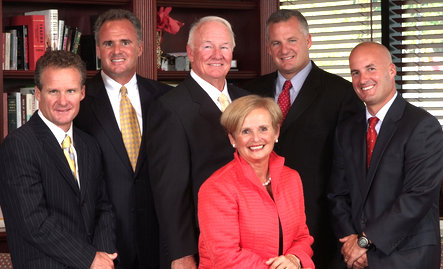 – DAVID PLYMYER retired as County Attorney for Anne Arundel County in 2014 after 31 years in the office of law. He previously served five years as an assistant state’s attorney.